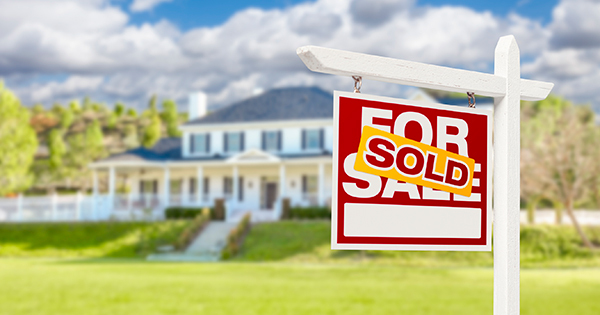 Every seller wants to get the best price for their house. We learned in basic Economics that it's all about supply and demand - the best price for any item will be determined by the demand for that item relative to the supply. This could be the perfect time if you've been thinking of selling. 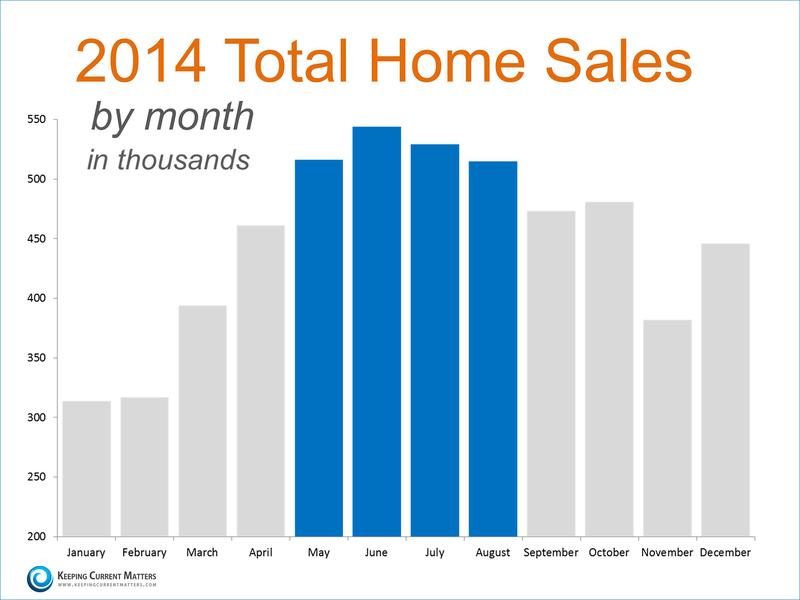 You want to make sure your house is available for sale during peak selling season. If you are thinking of selling this year, contact me-I'm always available to talk! It's All About The Journey...April Showers Will Bring May Flowers! Let the blooming continue as temperatures start to warm up and we spend more time outside! Peonies are outrageously beautiful in bloom. These perennials may live longer than you do and require little maintenance as long as they are planted properly and establish themselves; they do not respond well to transplanting. In most of the country, the rules for success are simply full sun and well-drained soil. 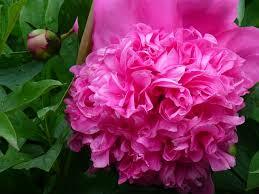 Peonies even relish cold winters, because they need chilling for bud formation. The variety of colors is limitless - red, pink, yellow, white and on and on. 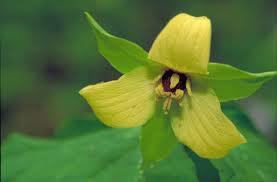 Yellow trillium is a true spring plant: Once its flowers die back at the season's end in June, the foliage recedes, too. 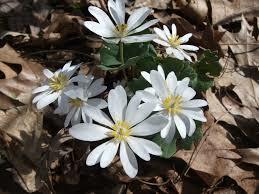 Even so, its marbled leaves and delicate yellow-white blooms are a welcome sight in April & May. This beauty thrives in shade and moist, well-drained soil and grows up to 16 inches tall and 12 inches wide. 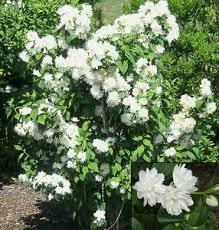 The delicate blooms of sweet mock orange belie its easy-growing nature. 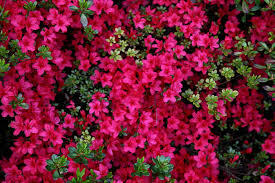 After planting it, you hardly have to do a thing to this compact shrub! In addition to pretty white flowers, the plant supplies an intoxicating fragrance. Best planted in full sun and moist, well-drained soil, this shrub grows up to 3 feet tall and wide. Whether you prefer the light purple blooms or the white, there's no sweeter spring fragrance than the blooms of this spring favorite! They come in all shapes and sizes, from dwarf shrubs to taller trees. 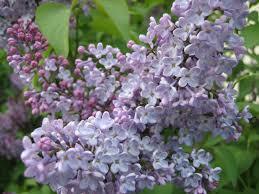 The lilac blooms on old wood, so hold off on pruning until right after the same year's flowering is finished. They thrive in full sun and well-drained soil and can get as big as 20 feet tall and wide. Its bright color burst is short-lived, but azalea's solid mass of flamboyant flowers provides a just-right transition from spring to summer bloomers. Pair the shrubs with hellebores, for an early-season showstopper. Part shade and moist but well-drained acidic soil, they grow up to 10 feet tall and wide. Nothing says welcome or puts a smile on a potential buyers' face more than a splash of color ! It's All About the Journey... "Tip Toe Through The Tulips"
After the monochromatic tones of winter - shades of white and gray (& slush! 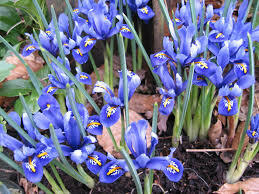 ), nothing's better than the cheerfulness of spring flowers. If you didn't remember to plant your tulip and daffodil bulbs last fall, don't worry. There are plenty of hardy plants just waiting to cheer you up! 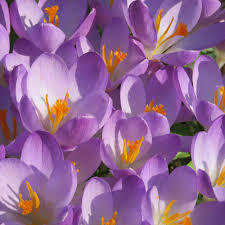 Nothing announces the beginning of spring like crocuses! One of the first flowers to "spring up" announcing the departure of winter with their lovely pink, purple, yellow, or white petals. 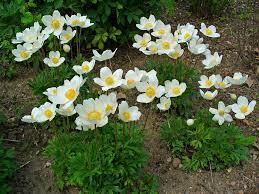 They do well in full sun and well-drained soil and grow up to 6 inches tall and wide. 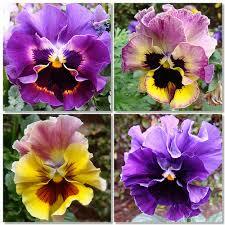 Cool weather is just what pansies prefer. An easy to grow annual - it's one of the best flowers to plant in spring for early-season containers and window boxes, relishing the variety in bloom color as much as their cheery uplifted petals. They do best in sun or part shade with moist, well-drained soil. They usually grow 10 inches tall and 12 inches wide. Also known as a Lenten rose or Christmas rose, hellebores produce spring flowers of delicate beauty and surprising resilience. 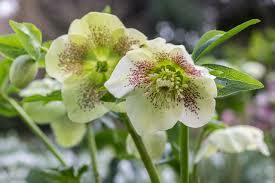 In warmer climates, it may even tolerate light frosts, making it one of the best flowers to plant in spring. For unusual flowers, see if you can find the double-bloom varieties. They grow best in shade and moist, well-drained soil. They can grow as tall as 12 inches and spread to 18 inches in width. A spring perennial flower which and make its appearance as early as March, shooting up white flowers that last until late spring. It's one of the best flowers to plant in spring and a good fit for either a shaded or woodland garden. These delicate beauties prefer shade and moist, well-drained soil and are petitie at 6 inches tall and 12 inches wide. Both fragrant and festive, the bright clusters of snowdrop anemone are happiest in slight shade. The beauties have an added bonus - the plant may put on a second bloom show in the garden once cooler fall temperatures arrive. Another gentle bloom measuring up to 6 inches tall and 12 inches wide. The market is in full bloom as well, so feel free to give a call! It's All About the Journey... Are All Your I's Dotted and Your T's Crossed? Is this the most dreaded day of the year? Many US residents mark April 15th as D-Day - the day to file their income tax returns to the Internal Revenue Service (IRS). 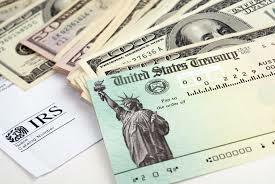 Income tax was first introduced in the United States in 1861, while Abraham Lincoln was President. The rate was 3% and levied on incomes above $800 per year . The resulting revenue was used to help fund the American Civil War. 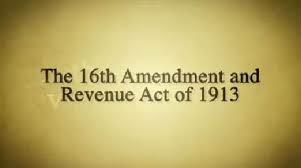 In 1872 the income tax was seen as unconstitutional and the law was repealed. It was hard to take back a tax once it was in place so the idea of a tax on personal income, at a rate of 2%, was reintroduced in the Revenue Act of 1894 even though the legal status of this kind of tax was still unclear. In 1913, the "Sixteenth Amendment" to the Constitution was ratified which allows Congress to levy an income tax without apportioning it among the states or basing it on the US Census. The amendment was adopted on February 3, 1913. The details of the income tax system have changed greatly since 1913. The top rates of tax have varied enormously and were particularly high during the First and Second World Wars and the Great Depression. Individuals and families with very low levels of income do not have to pay income tax and may even receive subsidies. In 1913 Tax Day, or the filing deadline, was March 1. However, it was moved to March 15 in 1918 and April 15 in 1955, where it has remained. If April 15 falls on a Saturday, Sunday or a civil holiday, such as Patriot's Day, the deadline is extended to the next working day. An extension due to a holiday may only affect certain states. In 2007, the residents of some states were granted an extension due to the disruption to public life in many areas caused by a huge Nor'easter. In 2007, the observance of Emancipation Day in Washington DC extended the 2006 income tax filing deadline from April 16 to April 17, for the entire nation. The majority of residents in the US file tax returns to the IRS of all income that they received in the previous fiscal year. Some groups, particularly veterans, pensioners and some low-income families, do not have to file a tax return unless they wish to qualify for certain types of income subsidy. 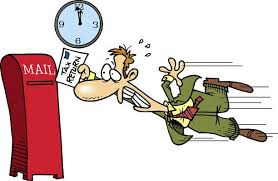 Others may wait until the last moment to file their return and pay any money they owe. As with everything, some people find filing a tax return to be complicated, while others feel they should not have to pay income tax at all. Income tax returns may be filed on paper or electronically. Today, people are encouraged to file a return via the Internet since it is felt to be more efficient and reduces the risk of mistakes being made or documents being lost in the post. 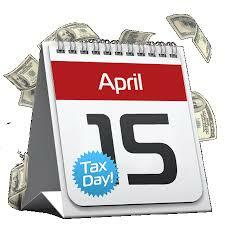 Tax Day is not a federal public holiday in the United States. Schools, post offices, stores and other businesses and organizations are open as usual. Public transportation runs on its usual schedule and no extra congestion is expected on highways, however, most post offices are open late to accommodate taxpayers who wait til the last minute to mail their returns. So, whether you file on time, wait til the last minute or file an extension - there's no escaping it, taxes are one of the 2 things that are guaranteed in life. It's All About the Journey... Bright & Sunny Ideas for Spring Selling! If potential buyers are turned off by the outside condition of your home, thereâ€™s only a slim chance theyâ€™ll be interested in looking inside. Do a semi-spring clean up by picking up fallen tree limbs and getting rid of last fall's leaves that may have found their way back onto your lawn. Trim back bushes and branches so the house can be seen and brighten up the yard with some colorful flowers or planter boxes. 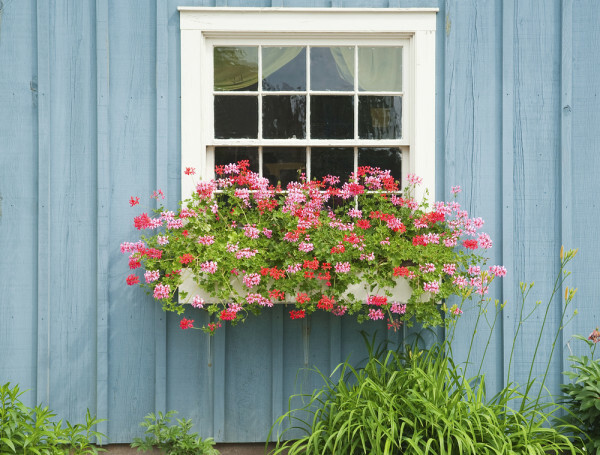 Adding window boxes or front door flower containers is easy, looks fresh and can provide an uplifting ambiance as you walk past them into your home. You might also consider pressure washing the driveway, sidewalk, and patio. If you really want to go all out consider a fresh coat of exterior paint to give your home an instant facelift, (but wait until the weather dries out a bit or the paint won't adhere). Just make sure the color pairs well with the rest of the exterior. Finally, repair anything thatâ€™s showing wear and tear. Remember, the outside of your home is the first impression â€“ you should do your best to make it a great one! Before you even get an offer? Yes! This isnâ€™t as crazy as it sounds. Potential buyers want to see the space they may be buying, which means you need to pack away your excess furniture and clutter to show a roomâ€™s full potential. You'll also want to box up your winter wardrobe. 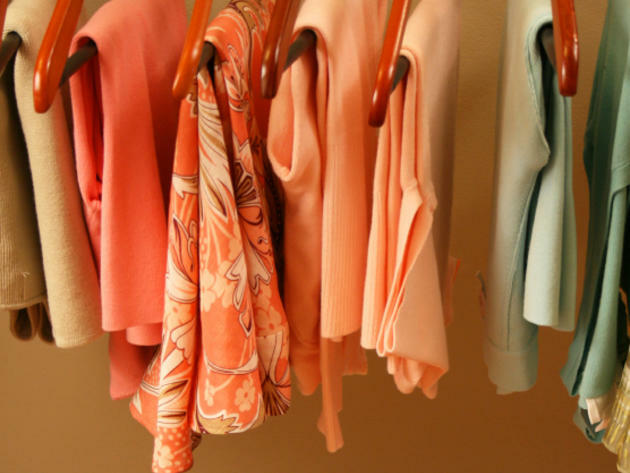 Bulky winter clothes take up lots of space, so move them out as you de-clutter your closets. You'll impress buyers with all that room. Send your drapes or curtains to the dry cleaners or wash them in your own washing machine if possible. Toss blinds into a soapy bathtub for a quick wash. If you have a pet, youâ€™ll want to clean your carpets to remove any odor or stains. Spring is not only a colorful season, but a fragrant one, too. Bring the aroma indoors. 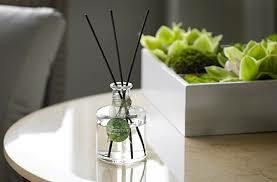 Scents have a profound effect on mood, so infusing scent into your decor with diffusers, candles, or fresh cut plants/flowers can change the overall feeling of a space. Just be careful not to go overboard and be mindful that people have allergies this time of year so a little can go a long way. 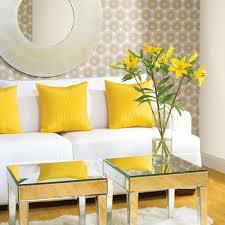 Consider spring colors - yellows, pinks, lavenders, or pale blues. These items are inexpensive accents that can do a lot to spruce up the interior of your home. Soft spring colors will light up any room. Tuck away the heavy, winter flannel comforter and pull out crisp linens with coverlets for color. 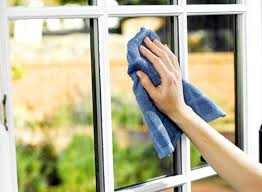 An old fashioned "spring cleaning" can go a long way! Clean out cobwebs. Re-caulk tubs, showers and sinks. 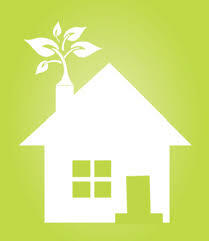 Replace worn rugs, If your welcome mat is covered with winter dirt, pick up a new one. A clean, pretty doorway will help set the tone for the entire showing. If you are thinking of selling your home or need more advice on how to prepare your home for sale, please contact me today!